What Happens If I Forget to Update My Will to Provide for My Spouse? Your will did not contain any language expressly disinheriting your spouse. An eligible spouse may claim either a pretermitted or elective share of your estate. The pretermitted share is 50 percent of the estate that passes under probate. 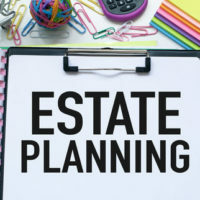 The elective share is only 30 percent, but it applies to both probate and non-probate assets, the latter included such things as revocable living trusts and life insurance policies. Despite the pretermitted spouse rule, it is still a good idea to review, and if necessary revise, your will after getting married. After all, the rule is premised on the assumption that the person who made the will simply forgot to include their spouse. If that is not the case, it is in everyone’s best interests to make that clear. Otherwise your estate may find itself involved in potentially expensive estate litigation. Consider this recent decision by the Florida Fifth District Court of Appeals. This particular dispute involves a man who died over two decades ago. The decedent was married to his second wife at the time of his death. However, his will left his entire estate to his first wife, and if she predeceased him, to his daughter and grandchildren. For reasons not explained in the Fifth District’s opinion, the decedent’s estate was not administered until 2010, more than 15 years after his death. By this time both of the wives had also passed on. The daughter and grandchildren petitioned a probate judge in Volusia County for summary administration of the decedent’s estate, which the court granted. Sometime later, the second wife’s estate attempted to reopen the summary administration. The wife’s estate maintained that she was entitled to a 50 percent share of the decedent’s estate by virtue of her status as a pretermitted spouse. The probate court rejected the wife’s estate’s request. The wife’s estate then filed a separate civil lawsuit against the decedent’s heirs, as well as their own probate attorney, demanding they pay over the 50 percent share directly. This effort proved similarly futile. The heirs’ attorney even moved for payment of his fees from the wife’s estate, in effect arguing they should have known their second lawsuit was basis. The Fifth District ended up declining that motion. Need Help Revising Your Florida Will? If you have questions about how to update your will following a marriage (or perhaps a divorce), you should speak with a qualified Fort Myers estate planning attorney. Contact the Kuhn Law Firm, P.A., today at 239-333-4529 to schedule a free estate planning consultation with a member of our team.